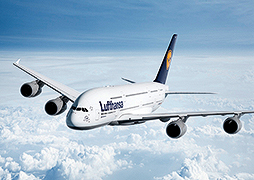 Lufthansa InTouch is the Competence Center for Customer Service for Lufthansa Group with seven centers worldwide. For the LH InTouch office in Peterborough, ON we are looking for an IT Specialist as of now. In the role you will be responsible to support the global Home Based Agent (HBA) environment. Across the world, HBA’s are servicing Lufthansa Group passengers from the comfort of their home and you will ensure that their work experience in terms of the IT infrastructure is excellent. In this position you are in close contact with the LH InTouch IT teams across the world to manage, maintain and support the global HBA solution. A unique team spirit and culture: we are the best at being In Touch! About Global Tele Sales of Canada, Inc.
We at Lufthansa InTouch are at the centre of Lufthansa’s service excellence. Being the innovative Customer Service provider for the Lufthansa Group, we specialize in customer care in air travel. Our multicultural, multilingual teams operate from seven Service Centres worldwide. Working together as one global team, we provide five star services for passengers flying with airlines of the Lufthansa Group. Besides offering Business-2-Customer services, Lufthansa InTouch designs innovative and cost effective operational solutions for a select portfolio of business clients. If this is you, please apply online.